One of the still-underappreciated revolutions brought on by the invention of cryptocurrency is the fact that anyone who invests in these assets can hold these assets. These aren’t assets that live on your stock broker’s spreadsheet. These aren’t gold bars kept in a vault in Fort Knox. They’re yours and yours alone — should you choose to assume control of them. Any cryptocoin will be stored in a wallet somewhere. That’s true for Bitcoin, Ether or any other coin. But you only control access to that wallet if you have the private key to that wallet. If, by contrast, you leave your money on an exchange or in your basic Coinbase account, you’re trusting those companies with your private keys. Putting your money in someone else’s hands exposes you to some level of risk. So, if you want to eliminate that risk totally and assume full control of your crypto investments, this guide will show you how to do that. 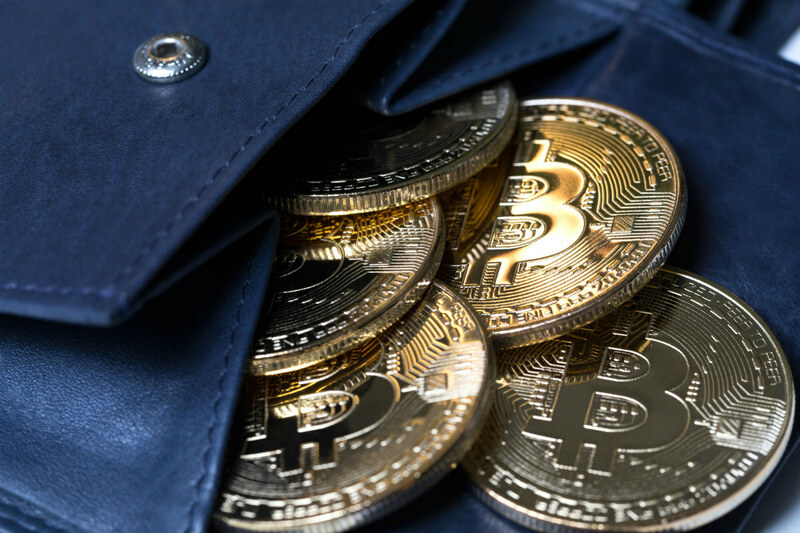 Cryptocurrency wallets fall into two groups, hot wallets and cold wallets. 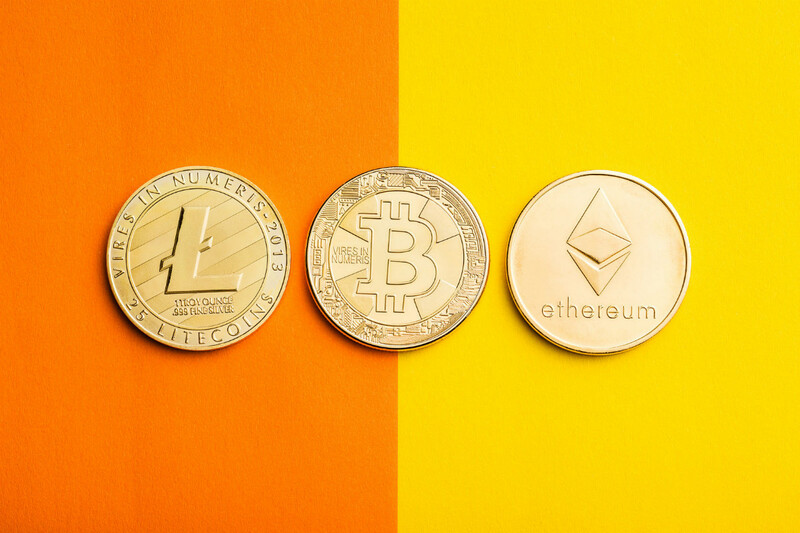 Thomas DeMichele at CryptoCurrency Facts explains the difference. A hot wallet describes a wallet connected to the internet, and a “cold wallet” describes a wallet not connected to the internet — e.g. a hardware wallet unplugged and in a safe. Putting cryptocurrency in cold storage simply means it is being held offline in a cold wallet. Mobile and desktop wallets — These are client applications that store coins on a specific device. They connect to the internet and create some amount of exposure to hacking. Online wallets — These wallets act like mobile and desktop wallets, but you access them through a browser. The data is hosted on a real or a virtual server, which adds another layer of hacking risk. Paper wallets — These are really just printed (or even handwritten) sheets of paper that contain the codes for your public and private keys. Generating and storing your keys offline, on a sheet of paper, ensures no one can steal your private key without physically stealing the paper itself. Managing paper wallets can be cumbersome. Hardware wallets — These wallets live on hardware built specifically to hold cryptocurrency and keep it safe. The wallets can generate offline keys so your coins can be moved offline, as with paper wallets, but hardware wallets solve the management problem. 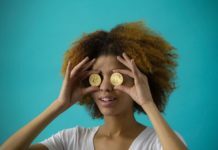 Being a crypto holder means you are fully responsible for your stored funds, as Michiel Mulders of CryptoPotato reminds us, and that’s why you need to know basic safe storage rules. The ultimate solution for keeping your coins safe is to store them in a hardware wallet, offline where they can’t be hacked or stolen. Ben Krypto describes hardware wallets souped-up USB keys, which is an accurate description for these small, portable coin storage devices with enhanced features and maximum security. Hardware wallets create data-storage environments that are walled off from any machine they connect to. That means that not only do they guard keys from internet connectivity, as Harsh Vasistha describes, but they also provide a safeguard against malware that might be on your computer. With a hardware wallet, your coins won’t be at risk, even if you connect to a computer infected with viruses and bugs. Access to the wallet itself is protected with seeds — a group of words that act like a very complex password — and PIN codes. You can’t simply reset the password in a hardware wallet, because you’ll be relying on a seed and PIN code to protect your device. This is a major benefit for coin security, but it’s critical that both seeds and PIN codes are never lost or forgotten. If you do forget these important codes, your coins will become permanently inaccessible. So remember to store your seed and your PIN code somewhere safe, but not in the same place you keep your wallet. Here are the half dozen hardware wallets that most experienced traders rely on. The Ledger Nano S is one of the best of the new hardware wallets for Bitcoin and some alternative cryptocurrencies. According to Joon Ian Wong and John Detrixhe at Quartz, Ledger has sold more than a million of the Nano S models so far. The Nano S stores coins and does transactions within the device, and with the built-in screen transactions can be checked and confirmed. Access to funds is limited to the device alone, as private keys are encrypted on it. Harsh Agrawal at Coinsutra discovered some surprises when he started using a Ledger Nano S hardware wallet. One was that the Ledger Nano S can store ETH, ETC, Dash, Ripple, Stratis, ZCash, Litecoin, NEO, Bitcoin Gold, Bitcoin Cash, Viacoin and a few other alt currencies (including BTC). And, because it’s an HD wallet, all stored cryptos are secured with the same backup key, allowing control of many accounts for the supported cryptocurrencies. The Ledger Nano S is great value, appealing to enthusiasts who want to hold bitcoin but don’t want to spend too much money on security. At Captain Altcoin, Felix Küster’s online tutorial walks new users through the Nano S setup process if you’re interested in seeing the device in action. 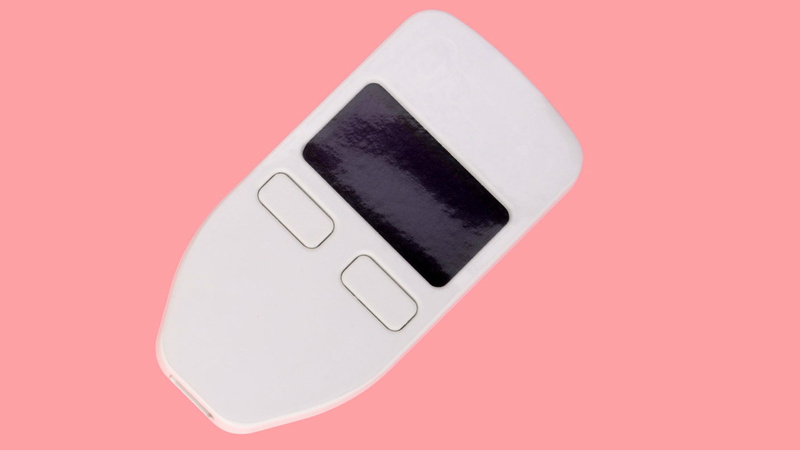 Trezor was the original Bitcoin hardware wallet and the first to feature a passphrase on their devices to secure funds — even if the device is stolen. 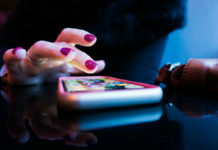 It’s currently one of the most secure wallets on the market and has proved itself even on malware-infected systems by keeping private keys offline. The latest generation of Trezor Model T hardware wallets was released in late 2017. Trezor supports the following cryptocurrencies: Bitcoin (BTC), Bitcoin Cash (BCH), Litecoin (LTC), Ethereum (ETH), Ethereum Classic (ETC), Dash (DASH), Zcash (ZEC), Namecoin (NMC), Dogecoin (DOGE), and other ERC-20 Tokens. Another simple yet powerful cryptocurrency wallet is the KeepKey hardware wallet. It works with any Windows, Mac, Android or Linux operating system. To set up the KeepKey wallet, you’ll first create a 12-word recovery key. Exchange between assets is facilitated directly on the device using ShapeShift and KeepKey is virus- and malware-proof. The device currently supports Bitcoin, Bitcoin Cash, Ethereum, Llitecoin, Dogecoin and Dash, with more coins coming soon. The CoolWallet is a crypto wallet that came out in 2014. This flexible, waterproof hardware wallet most closely resembles a credit card in appearance and fits neatly into a conventional wallet (i.e. the one that fits in the pocket of your pants). Access to your cryptocurrency is completely offline, and no matter how vulnerable the network connections your private keys never leave the CoolWallet device. Its OTP system allows users to sign their transactions offline. Now in its second generation, the wallet supports Bitcoin, Bitcoin Cash, Ethereum, Litecoin, Ripple and soon ERC-20 tokens. Another Bitcoin-only wallet, OpenDime is a small, sleek, disposable USB device that allows you to spend Bitcoin like dollars. 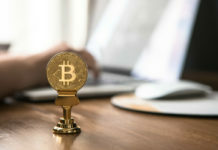 And while it works with any computer, laptop or mobile device, the private keys are generated within the device and are not revealed to anyone. CoinDesk’s Stan Higgins says the latest model of the Opendime wallet will feature a range of changes, including an increase in length from 40mm to 47mm, a move to help resolve issues users had when plugging in their wallets. The Digital Bitbox is a hardware wallet for multiple cryptocurrencies. Itsupports Bitcoin, Ethereum, Ethereum Classic and ERC-20 tokens.